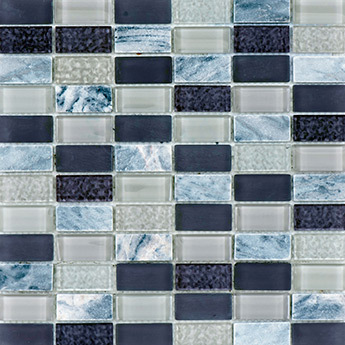 Blue, grey and silver colours combine within these Graphite and Marble Glass Mosaic Tiles. 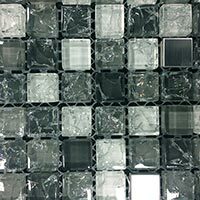 They shimmer in spectacular fashion and are a popular option for bathroom shower areas where they can be used as a trendy border. 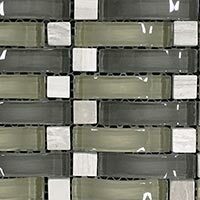 Above sinks, these mosaics are the perfect splash-back option as they are both stylish and practical. 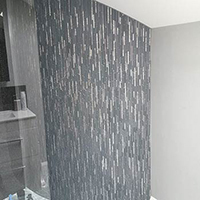 The sleek, glossy surface is easy to clean and wipe dry. 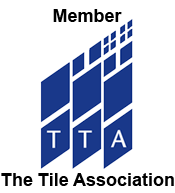 An intricate rectangular pattern adds a unique style element to any design. 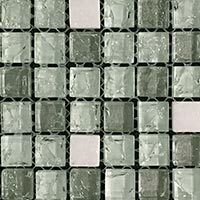 These glass mosaics are formatted upon mesh sheets and are therefore straightforward to use as part of DIY projects. 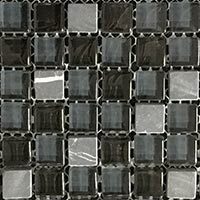 If you are interested in adding a contemporary appearance to your home interior, ordering a sample of these mosaics for a closer look is highly recommended.